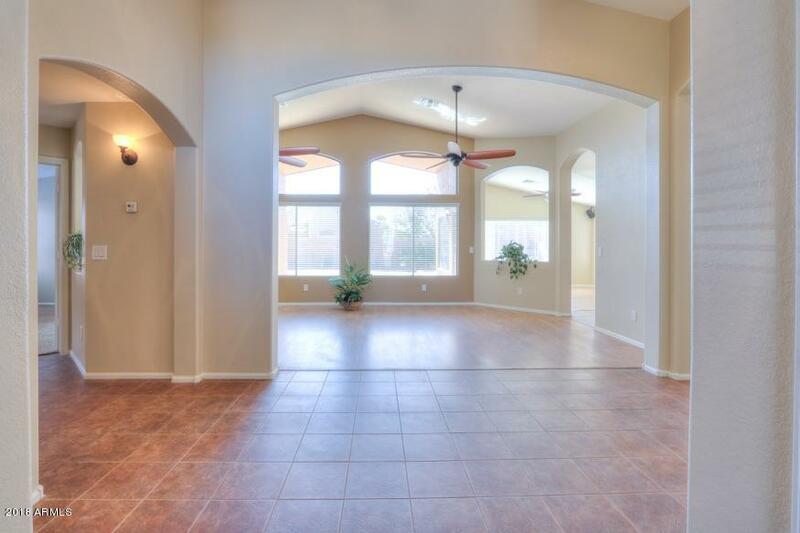 Highly desired single level floor plan in Maricopa's only Golf Course Community of Rancho El Dorado. 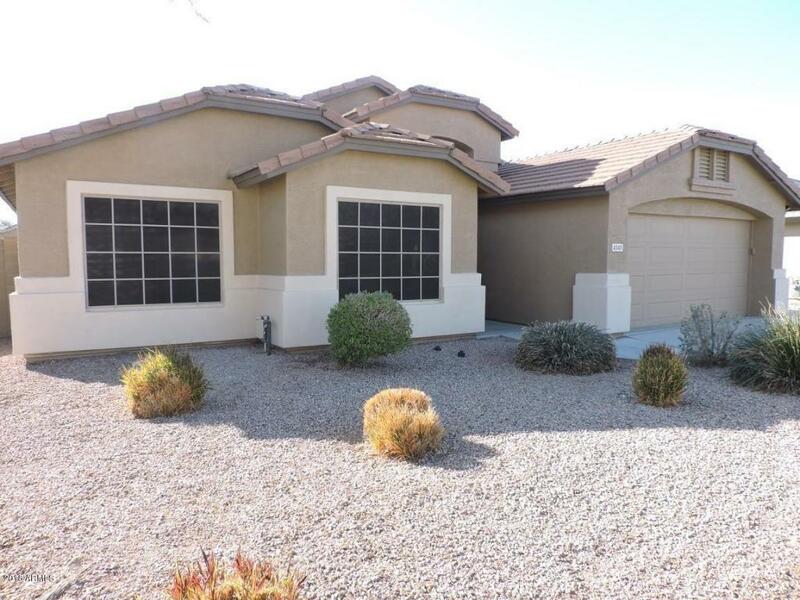 3 bedroom, 2 bath with Den, this open floor plan concept includes beautiful granite countertops in Kitchen and bathrooms, new stainless steel appliances, tile flooring, surround sound with speakers, large great room, new 2'' faux wood blinds throughout, custom cabinets in garage, extended driveway for additional parking, and a sparkling SALT WATER pool with custom bowl water features for those hot summer afternoons. 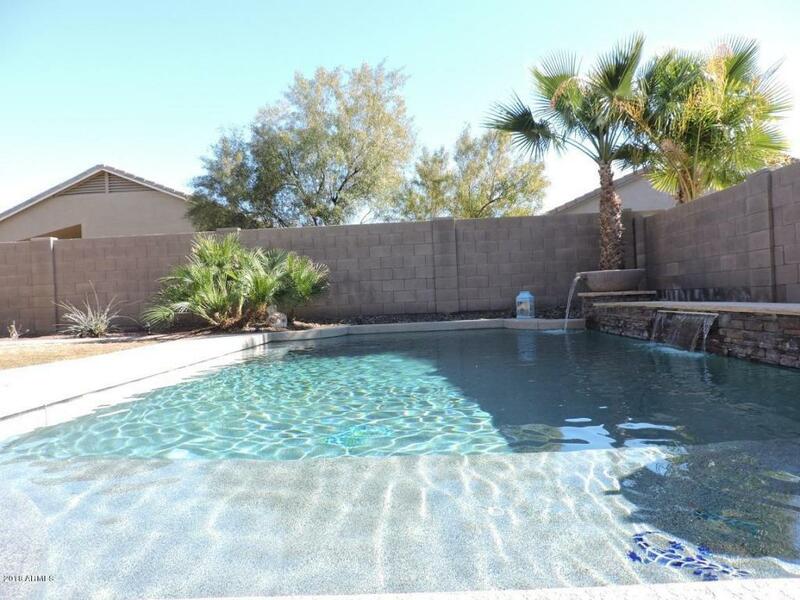 Located close to the Duke Golf Course Clubhouse with quick and easy access to shopping in Maricopa and Chandler. Schedule a showing today.